William Wallace's execution was the opening attraction of a giant medieval carnival, according to research which sheds new light on the freedom fighter's death in August 1305. 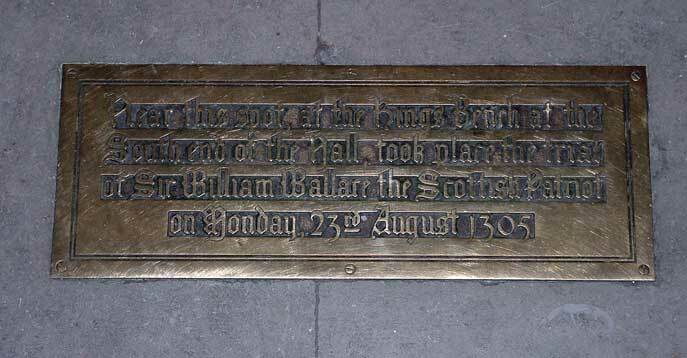 The killing of 'Braveheart' Wallace, during which he was hanged, drawn and quartered, is now believed to have marked the opening of Bartholomew Fair - the largest medieval market in England, held annually for centuries to commemorate St Bartholomew's Day on August 24. Tens of thousands flocked to Smithfield - the site of his execution - for the fortnight-long celebration, which featured vast cloth and meat markets as well as sideshows, musicians, wire-walkers, acrobats, puppets, freaks and wild animals. The fair, which was first held in 1133, was unique in that everyone from peasants to the upper echelons of England's aristocracy attended. By the 18th century it was one of the most spectacular national and international events of the year. It ended in 1855. The convener of the Society of William Wallace, David Ross, who discovered the link, said: "Wallace was captured near Glasgow on August 3, 1305, and was rushed to London, where he arrived on August 22nd. "I had always wondered why he was taken down to London in only 19 days, which included some time during which he was kept at Dumbarton Castle, where his famous sword was left. The English king, Edward Longshanks, had Wallace rushed to London, where his trial was hastily set up at Smithfield, facing St Bartholomew's Church. 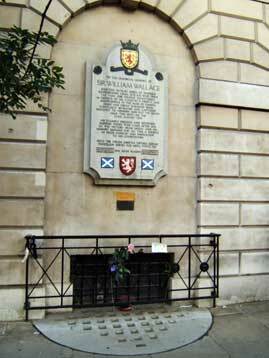 Unlike most prisoners, who were thrown into dungeons to languish for months or even years, Wallace appeared in London on August 22, was tried on the 23rd and executed immediately after. That is extremely unusual, but until now we have never known why - other than that Wallace was to be made an example of. But Bartholomew Fair presented the perfect opportunity for King Edward to demonstrate his power to the maximum number of people. A vast number of people thronging to the medieval fair would have seen the champion of Scotland torn to pieces, and known what would happen to those who crossed Edward." Ross added: "Bartholomew Fair was the biggest fair in the country - the population of London doubled as traders came from far and wide to Smithfield. The fair centred around St Bartholomew's feast day, and at its focal point was St Bartholomew's Church, outside which Wallace was executed. 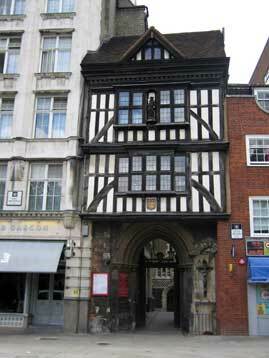 It was customary for the Lord Mayor of London to open the fair formally at that place on St Bartholomew's Eve - the very day Wallace was executed. It seems clear that Wallace's hideous murder was the fair's opening spectacle, timed perfectly for the day when most people congregated from all over the country - and led by the Lord Mayor himself to commence the celebrations."